What are ethics? What is public domain? How should I release an MMD model? What are MMD rules? How can I release to the public domain? 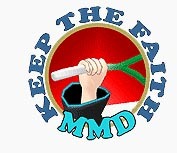 If you’ve been following along with LearnMMD for a while now, you’re probably familiar with its Keep the Faith series, encouraging you to behave in a manner that supports the community that supports you. It’s important that we all take those simple, ethical steps that show respect to the artists– of all stripes– that MMD has attracted. And you’ve probably learned a lot. Maybe you’re putting the finishing touches on a model, motion, or video right now. You’re thinking about whether to share it with the community, and, if you do, what kind of restrictions you want to make regarding its use. Great! This is the time when you can really show how much you care about the community! 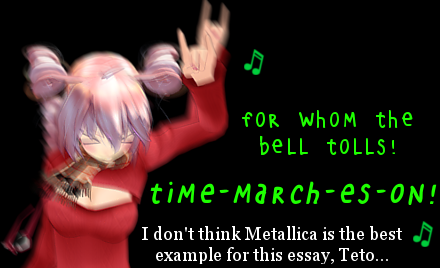 Think about your time with MMD so far. Maybe you were excited about a great video you saw, something only someone very talented could make. You downloaded MMD, a free, publicly available program created by a genius programmer. And you downloaded a model that some incredible artist released to the public without requiring a password. 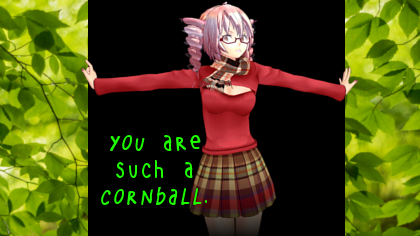 You used all these tools to render an image or video and you fell in love with MMD. Then you learned to model. You used programs like PMXE and Blender, more works released without restriction. When you ran into problems, you opened up models made by masters and studied how the they solved those problems. You looked at Google Images for references for your art– references that artists didn’t hide inside shrink-wrapped, $400 textbooks, but published to the web for anyone to study. There’s no end to the number of people who have helped you reach this position. Yes, learning the ins and outs of 3D modelling was painstaking. Yes, creating your model required a lot of intelligence, talent, and hard, frustrating labor. But without all that help, would it have even been possible? If you’re preparing a release, congratulations. You are a giant. You have performed an incredible task. But when you look down at your legs, don’t they seem the same length that they’ve always been? You are standing on the shoulders of countless people who have made your accomplishment possible. You stand even taller than them now! But you needed their help to do it. Sometimes we get so caught up in following the rules that we forget why. It’s not because we’re scared of getting caught. It’s because we want to do the right thing. When we don’t know what the right thing is, we can use the rules to help us figure it out. Most of us are lucky to live in places and communities where the rules and what’s right are in agreement. But when they come into conflict, it’s ethical behavior that takes priority over legal behavior. 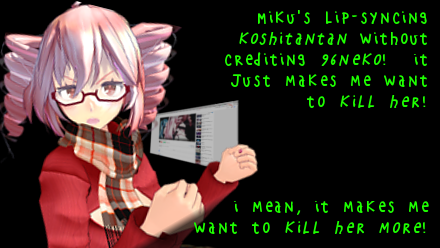 The rules say to credit people when they ask for it. But ethics tells us to credit people when they’ve been helpful, regardless of whether they ask. The rules don’t say we have to help each other learn and grow. But ethics demands it. I live in the United States. In my culture, we believe that people have a right to free speech. That includes the right to be untruthful in our personal dealings. Does that make it right to lie? Of course not! Many of us support a right to privacy. There are things about me on Google that I’d rather not be there. I could write to Google and demand that these be removed from searches. Would that be right? I don’t think it would be. That history is the consequence of my own actions, and it wouldn’t be right for me to demand that Google employees spend their time hiding my mistakes. And if you’ve just created a piece of art, you have the right to make any number of restrictions regarding its use. In the United States, you have copyright the instant you make it! You can demand credit. You can restrict the kinds of renders in which it can be used. You can limit redistribution or editing. You can create a password for the download or archive that limits access. But would it be right to do any of that? Like all ethical dilemmas, those are questions you have to decide on your own. Still, there are useful questions that will help you find the answer. Is preventing my own unhappiness at some use worth the happiness that other people might find in it? Can this release help others develop their talents, just as others’ releases helped me develop my own? Would I rather make others credit me, or would I rather let others credit me when they found my work essential? It’s frustrating to put so much effort into doing the right thing when you see people around you that don’t even care. It’s not easy to do the right thing! Rules are easy to learn. But ethics are a puzzle. Ethics are hard enough to figure out even for yourself, never mind from any other person’s perspective. When you step into others’ shoes, so much that seemed clear becomes cloudy. Keeping the Faith isn’t about becoming a police officer, enforcing justice throughout the land. It’s about each of us making genuine efforts to make sure our own behavior is helpful and respectful. You might decide that it’s worth offering your art free of restrictions, hopeful that this is the way to help the most people. But somebody else might make a different decision. That doesn’t make them a bad person. I want you to encourage others to behave in a way that’s most helpful to those around them. But that doesn’t mean judging them when they fail. We’re all going to fail in that task sometimes. Your efforts are best spent on yourself. 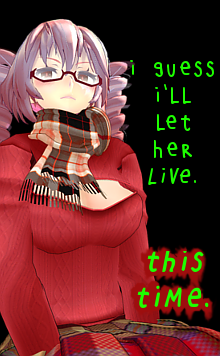 Thankfully, when it comes to MMD, nobody’s going to die! If you feel that someone’s behavior has been hurtful or disrespectful, you can do something about it, even without getting into a fight. Find the people that have been hurt and offer your sympathy. It means more than you might think! 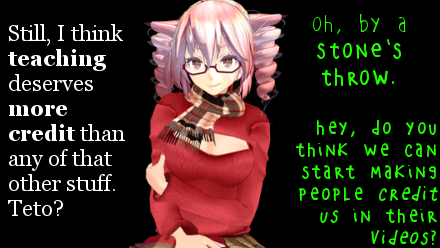 Sometimes we forget, but MMD isn’t a race. There’s no winner. Or more accurately, there are no losers! When something beautiful is made, there’s the potential for something wonderful to happen. All of us can benefit from it. We all win. When something beautiful is locked away, that potential is lost. We are a team– all of us, everyone involved in MMD, everyone involved in 3D animation, everyone that makes or appreciates art: everyone. Our tasks are too huge for any single person. Some create the tools we use, some help us learn to use them, some create the models, some create breathtaking animations, some put it all together into finished products, some give us the feedback we need to continue or grow. None of us can do all of that on our own. By the way, there are a lot of poems that I couldn’t reproduce on this page because their authors released these poems with restrictions. Some of those poems are very beautiful, and I’m sorry that I can’t share them with you. I can’t get permission from John Donne to use his poem because he’s long dead, but I can still share it, because it is in the public domain. Commercial artists have put years or decades into their craft. They have families. Sometimes, they need to transfer the rights to their art in order to feed those families. And the people to whom those rights are transferred need to hold on to them in order to make the money to pay the artists. This right-to-transfer-rights is essential to commercial art and its accomplishments, from your favorite video games, to your favorite music, to your favorite Windows 100% model. That’s not true for most of us. But it’s not because our works aren’t worth sharing. 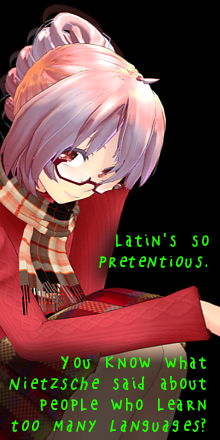 Amateur MMD artists have proven their creativity and talent repeatedly. If you’re releasing an edit– a derivative work– you can’t release it entirely into the public domain. You have to respect the limits placed by the original creator. Still, there’s no reason you need to add to these limits! But if you want to release something original free of restrictions, there’s good news. It’s easy! All you have to do is say so. Anywhere, but of course your readme or distribution page would probably be best. Write, “This artwork is released into the public domain.” That means people can use it to grow in whichever way their branches spread. Already, I can see the sun shining through the green leaves of the next generation. Oh, I almost forgot! This article and all of the original art it contains is hereby released to the public domain! Oh, right! remii made Tda Little Devil Teto! Check out his nico nico user page!